Today is the last day to save up to 30% on select Micro Kickboard Scooters! Both the Mini and Micro Original scooters are 30% off, and the Mini & Micro Deluxe scooters are 30% off (see below). Our family is obsessed with our MIcro Kickboard Scooters! All five of us have them now including my husband and me. Riding them together has become one of my very favorite family activities to do together on the weekend. We ride around the neighborhood or down to the farmer’s market. They are seriously so much fun! 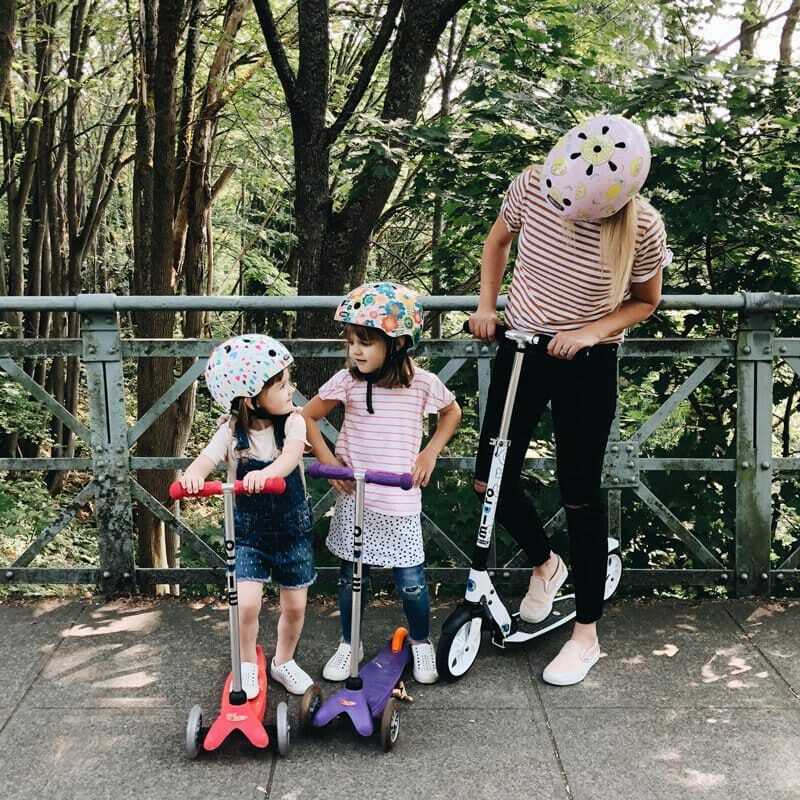 The Mini (ages 2-5) and the Maxi (ages 5-12) are great for kids because the three-wheel design makes them stable and the unique lean-to-steer design teachers your child to use their own body weight to lean, teaching balance and coordination. They also have smooth-glide wheels that are very quiet and come in a variety of fun colors. They even have a new style with LED wheels! Below is a list of the final prices. To get the sale prices on Amazon, you need to clip the coupon on the product page, which is available on most colors. If the color you’re after isn’t in stock (or there’s no coupon available), you can shop directly through Micro Kickboard too. MICRO MINI ORIGINAL SCOOTER (Reg $79.99 Sale: $55.99) *30% off! MICRO MAXI ORIGINAL SCOOTER (Reg: $129.99 Sale: $89.99) *30% off! You can shop our favorite Nutcase helmets here.